I recently came across the story of Marc Herremans. Marc Herremans came sixth in the Ironman World Championships in Hawaii in 2001. Just three months later, he was training in the Lanzarote on his bike when he slipped on a tight bend and fell onto some rocks, breaking his back. He ended up completely paralyzed from the waist down. I am hesitant to compare my trivial ordeals with that of Marc but, in my case, when my fitness was scuppered at the age of 21 with a bout of mononucleosis, I felt cheated and I remember feeling loathe to regain what I had already rightfully earned. So I find it incredible that this guy only three months later was preparing to compete again in the Ironman World Championships, this time in a wheelchair. Eventually, in 2006, he was the first wheelchair bound athlete to complete the Ironman World Championships, although he didn't win any prize money for doing so (this seems particularly mean spirited of the organizers, I must say). He has also set up a charity, to help other people in a similar predicament, which is called "To Walk Again". 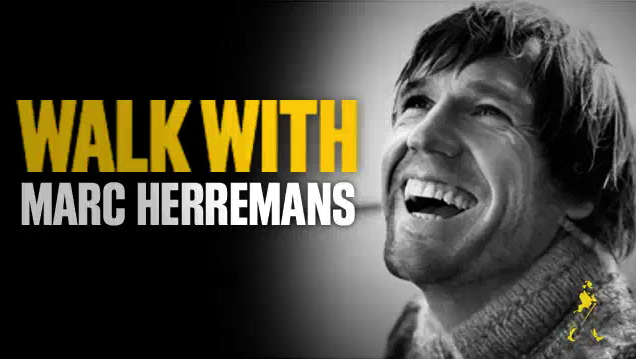 Being able to walk is something we take so for granted, I just cannot imagine the strength of character Marc Herremans - not to mention many others that he represents - must have.